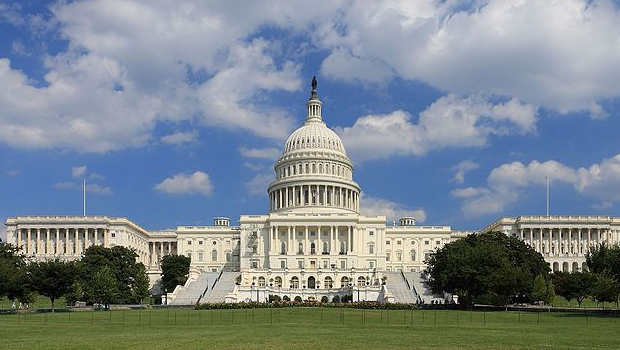 After two years of bipartisan efforts to pass legislation codifying open data requirements for the federal government, it looks like the United States will finally have a law declaring the publication of open data as an official responsibility of the federal government. On September 14, the Senate incorporated the text of the Open, Permanent, Electronic, and Necessary (OPEN) Government Data Act as an amendment to the fiscal year 2018 National Defense Authorization Act (NDAA). This is significant because NDAA is considered a must-pass bill, meaning Congress has to pass it to ensure that the government has funding to carry out defense activities. The Senate has also voted to invoke cloture on a motion to proceed with the bill, meaning it could come to a full vote in a matter of days. Though there are still a few hurdles to clear, it is very likely that the open data requirements will soon become law. Federal open data policy in the United States is built on executive actions, particularly President Obama’s May 2013 executive order, “Making Open and Machine Readable the New Default for Government Information.” However, these policies are simply operating procedures for the executive branch and not law, meaning that federal agencies have no legal responsibility to publish open data. The lack of legally defined open data requirements creates uncertainty about the extent to which the federal government will remain committed to and responsible for opening its data to the public or refining and improving open-data efforts over time. Additionally, without legal requirements for open data the public has no guarantee that the government will maintain this valuable commitment to transparency, and the countless businesses that rely on open data have no guarantee that this valuable resource will be available in the years to come. The bipartisan OPEN Government Data Act is the exact kind of guarantee needed to secure the benefits of open data. First introduced with broad bipartisan support in 2016, the bill was reintroduced in March of this year. By including it as an amendment to NDAA, the bill is now very likely to become law. The House has already passed its version of NDAA that does not include the provisions of the OPEN Government Data Act. This means that once the Senate passes its version, a conference committee will reconcile the two versions of the legislation before sending it to the president. Given the apolitical nature of open data and its bipartisan support, as well as recent support from the Office of Management and Budget, there is every reason to believe these provisions will make it into the final version of NDAA that will become law. The Center for Data Innovation was the first organization to call for federal open data legislation and has worked with a wide coalition of industry, academic, and civil society groups to urge Congress to act. It is encouraging to see that after three years, Congress seems poised to write open data requirements into law.